Get our Motivational Quotes Kindle Book for Free till October 8th. 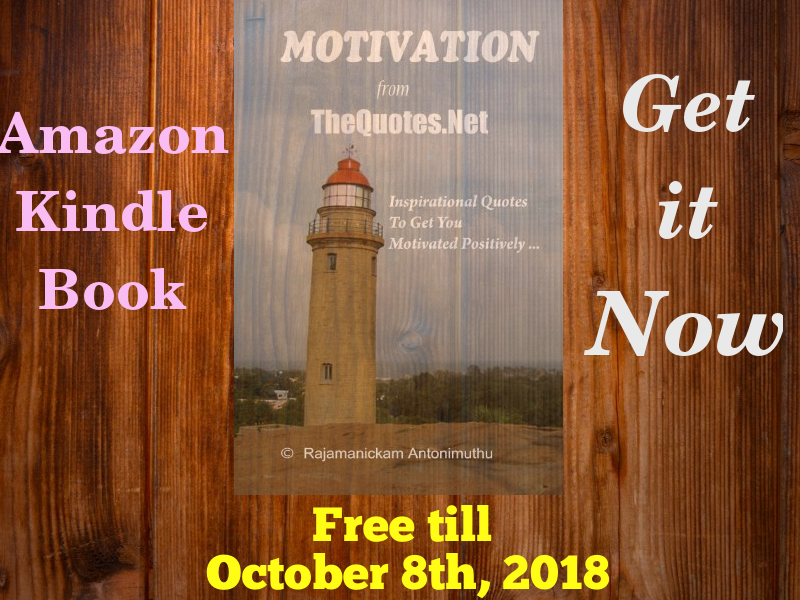 A few years back, I had published a Book with Title "Motivation from TheQuotes.Net - Inspirational Quotes To Get You Motivated Positively" using Amazon Kindle publishing (KDP) and I enrolled it with "KDP Select" program which allows me to set it for FREE few days. I have decided to make it available for Free till 8th October 2018. Make use of this free offer, if you are interested to read this Kindle Book. Get it from here and add your Rating and Reviews at Amazon. Staying Positive gives us lots of Benefits. But it is really difficult to stay Positive all the Times, it is almost impossible to do so. By reading Motivational Quotes we can get the motivation to stay positive. So, get this Book before the Free offer ends. And, You can get our Quotes App for free from Play Store.